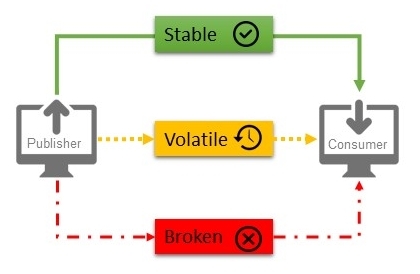 Data Connectivity | Yokogawa United Kingdom Ltd.
mPower's object-oriented data structure makes it easy to build a model of your production, to the level of detail required. mPower is a member of the Exaquantum family of products that includes the nHance and Connect ranges of application and connectivity extensions. 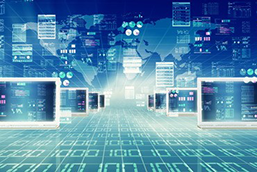 Yokogawa’s Exaquantum LIMS Data Exchange (LDX) provides an open interface to reliably obtain LIMS data supplied by LIMS packages for storage into Exaquantum/PIMS. 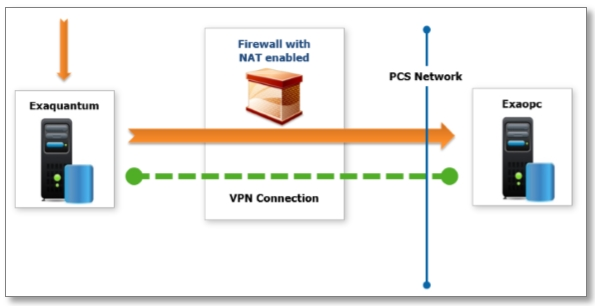 Yokogawa’s VPN Software Manager ‘Exaquantum/VPN is a secure access mechanism based upon VPN technology that enables the normal operation of legacy OPC connections without the security issues it introduces. 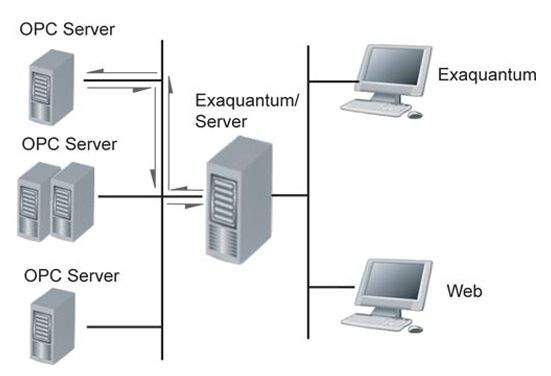 Exaquantum/RDS (Remote Data Synchronization) enables the easy transfer of synchronization data between two remotely connected Exaquantum servers connected by fluctuating bandwidth, for example satellite and microwave links. As a result Exaquantum/RDS enables data to be transferred securely and efficiently in near-real time or slower where the update rate is not so crucial. For increased security data transfer can be encrypted. Exaquantum/SDM improves the performance of a sub system by helping to manage its total loading. 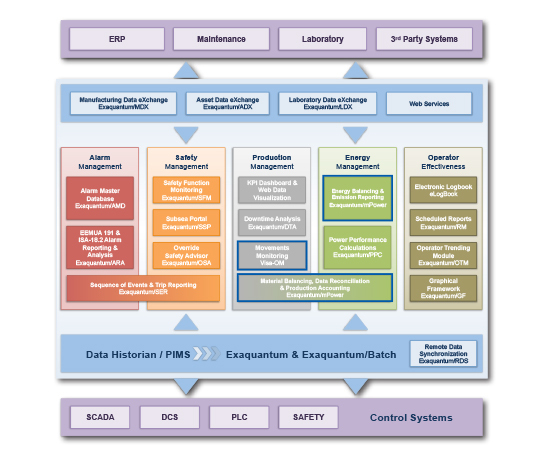 Exaquantum Historical Data Manager allows Exaquantum to continually collect process data from an OPC HDA Server(s) into an Exaquantum Real-Time database. 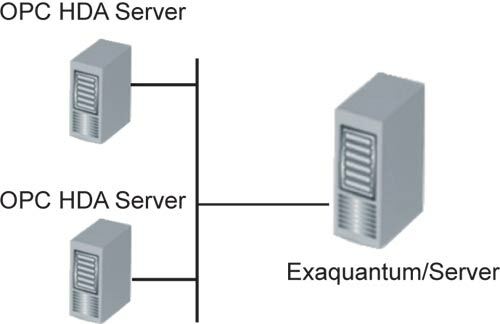 Yokogawa’s Email Event Service (Exaquantum/EES) extends Exaquantum functionality by providing the ability to send an email or text message when important process data arrives, due to an Exaquantum calculated tag result or the arrival of a specific alarm or event. 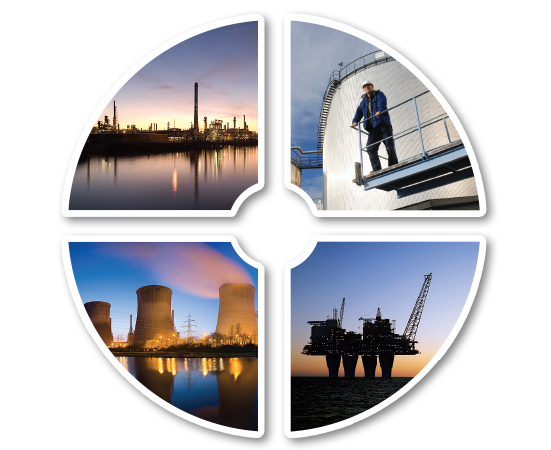 The Yokogawa-SAP Production Management Interface package (MDX/PM) provides the necessary integration between the Production Management Systems (MES) and Business applications (ERP). 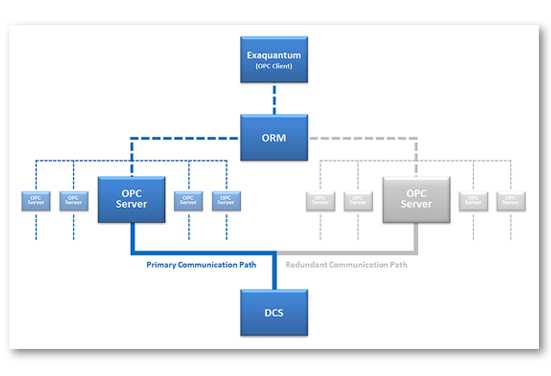 Exaquantum/ORM (hereafter known as ‘ORM’) is Yokogawa’s OPC Redundancy Management solution that allows one or more redundant pairs of OPC DA and HDA servers to be connected to a single Exaquantum server. Scalable dynamic mass balancing with advanced data reconciliation. Monitoring of energy flows in and out of a selected area. Real-time view of production including raw materials, intermediates and finished products. Track raw materials, intermediates and products through an entire plant for continuous and batch-based processes. Flow measurements prior to gas and liquid separation units are notoriously difficult to calculate accurately due to the presence of mixed phase materials with variable gas content. When flows from different wells, owned by different companies, are combined to feed a separation plant this inaccuracy creates doubt about each owner's share of the oil and gas delivered for further processing.